ROOK Lane Chapel was filled to bursting recently for a magical finale to Frome’s home grown creative maths project, Break 3. The project, a partnership between Rook Lane Arts and Frome Community Learning Partnership has brought together mathematicians, artists, educationalists, community and arts organisations, and professionals from outside education, to find ways to bring creativity back into maths, break myths and instil new enthusiasms for numbers. It is already attracting interest from other counties keen to learn from the project and its ideas. 60 St John’s schoolchildren beating rhythms, singing maths patterns and harmonics to an audience of 160. The children have worked with Break 3 music practitioner Steph Douglas for the last month. The evening also screened films made by Nunney, Mells and Vallis First Schools working with community media officer Howard Vause, all looking at different aspects of maths, from animating classroom maths resources to walking around Frome streets as maths detectives. 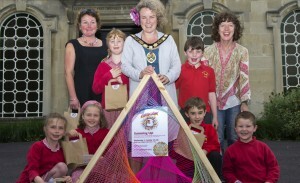 Frome mayor Pippa Goldfinger also helped launch the Break 3 Outdoor Maths Bags, created by the project and going out to 1,000 seven and eight year olds across the Frome schools network. 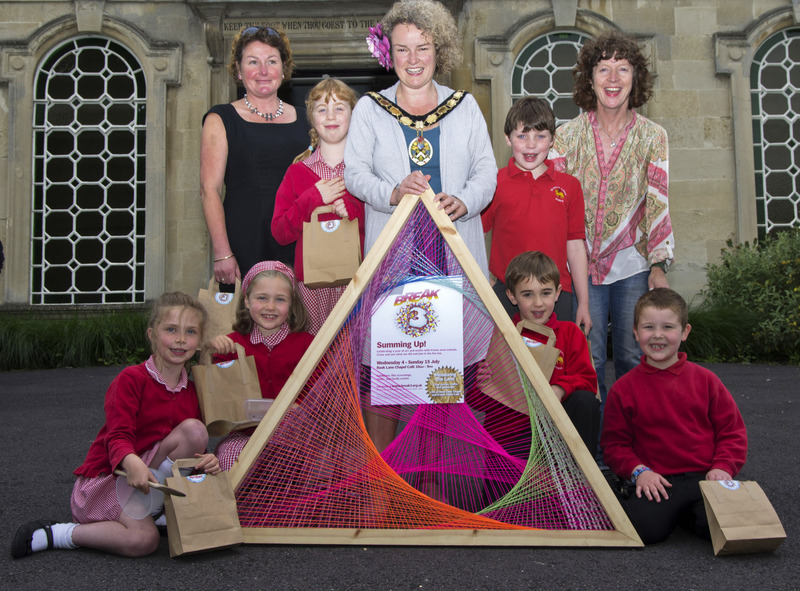 The bags are designed for children to take home and continue having creative fun with maths over the holidays with contents including ‘SpyMaths’ photo trail, and natural, ancient and alien maths activities. Although Break 3 activities with Frome schools finish this term, the project continues to stretch the boundaries of maths with Heritage Lottery Funded youth project ‘Measuring the Land’ looking at crop circles and their history. Anyone 13 and up welcome to get involved. Visit www.break3. org.uk to find out more about this and the rest of the Break 3 project.